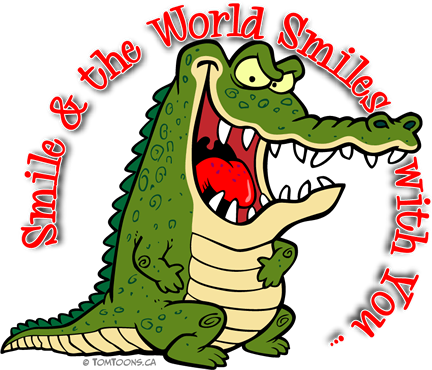 "SMILE and the world smiles with you …"
This is the NEW world on the web (formerly CartoonistsOnline.com) to showcase the humourous art stylings and musings of TOM MILUTINOVIC. 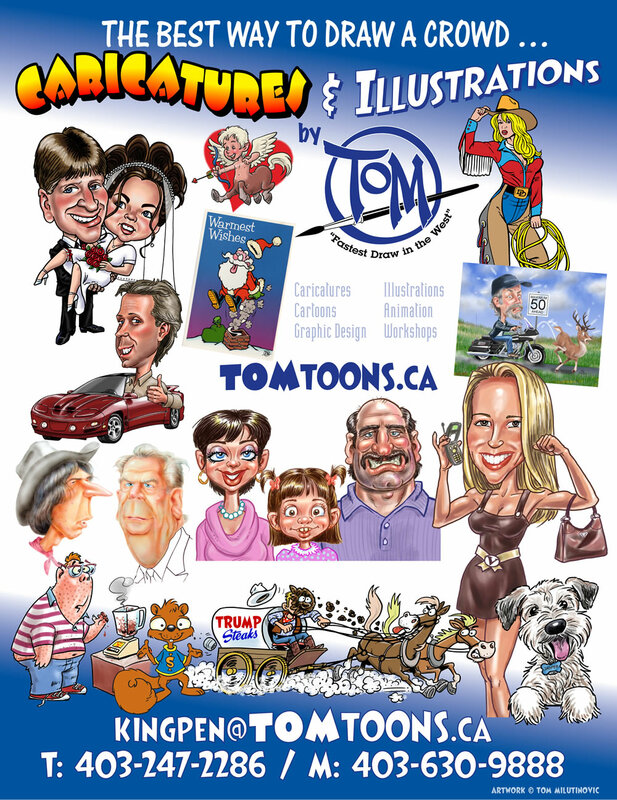 Tom has been a professional artist specializing in cartoons and caricatures since the early '80s as a freelancer, culminating in the incorporation of Pennan Inc. in 1988. Tom has also partnered with other artists in a handful of other art-related business ventures over the years but now works out of his studio at Pennan Inc. This is a new site, so keep in mind that it is still a "work-in-progress". Feel free to browse around the samples online, and come back from time to time to see the new stuff he'll be uploading. Tom will be updating with samples of animation, more silly cartoons, some interesting educational art & humour-related material and MUCH MORE! Tom's motto: "Smile and the World Smiles with You ..."
"WISIWYG" = "What I See Is What You Get"
Use of any artwork on these pages is strictly prohibited without the consent of the authors. If you would like to use any of the images, simply click on the Mailbox (above) and make your request. We'll be happy to give you a prompt reply, & everybody'll be happy! Thank you! All artwork, characters, logos & related indicia on these pages are © & TM 2019 by Tom Milutinovic & Pennan Inc.